Marine Fighter Squadron (VMF) 214 was originally commissioned on 1 July 1942 at Ewa, on the island of Oahu, in the Hawaiian group. Initially called the "Swashbucklers," they successfully completed two combat tours before the designation was given to the Marine command on Espiritu Santo. 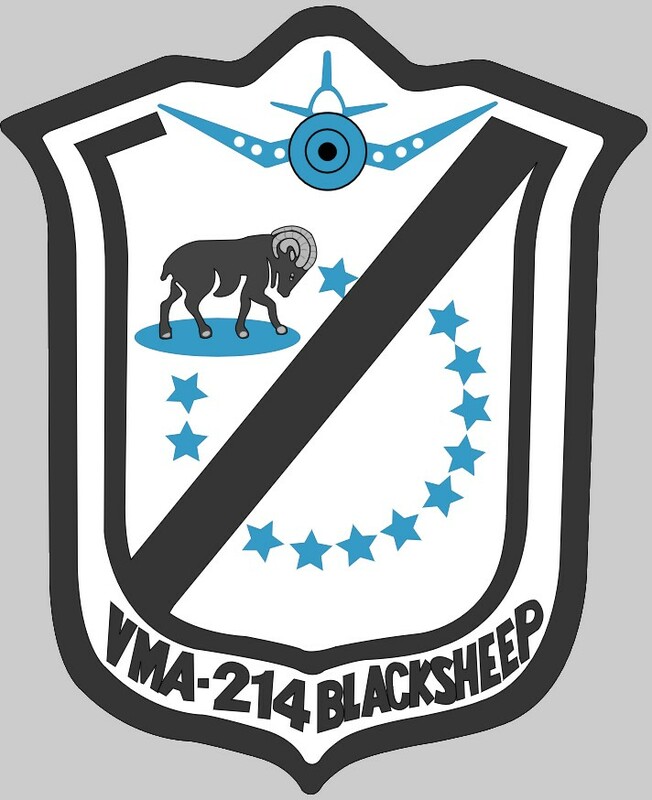 In August 1943, a group of twenty-seven young men under the leadership of Major Gregory "Pappy" Boyington joined together to form the original "Black Sheep" of VMF-214. Major Boyington had just returned from a year's tour in China as a member of the American Volunteer Group, "The Flying Tigers." In China, he had downed six enemy planes and became, through actual experience, one of the originators of American fighter tactics against the Japanese. The call sign "Black Sheep" was chosen by the squadron to commemorate the unusual way in which the Squadron had been formed. 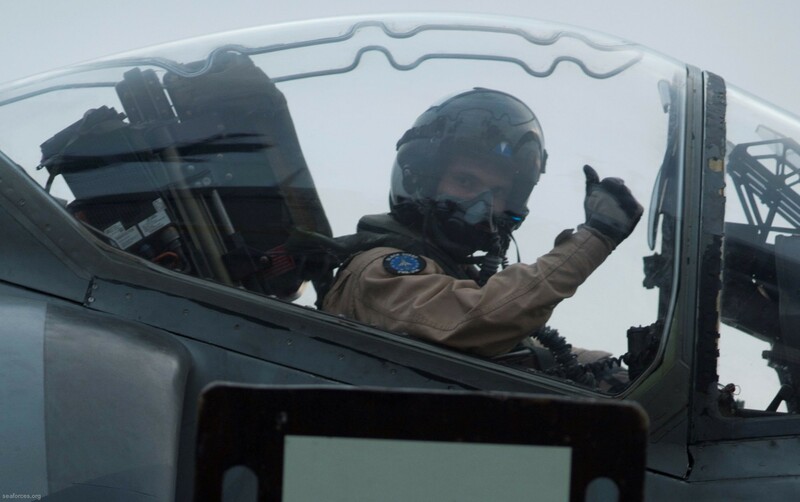 The pilots ranged from experienced combat veterans, with several air-to-air victories to their credit, to new replacement pilots from the United States. 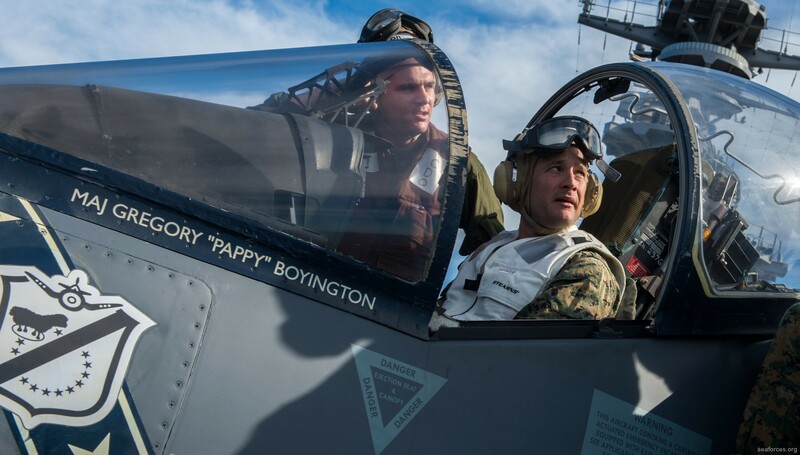 Major Boyington and Major Stan Bailey were given permission to form these unassigned pilots into a squadron, with the understanding that they would have less than four weeks to have them fully trained and ready for combat. They were very successful and Major Boyington was later awarded the Congressional Medal of Honor for his efforts. They chose for their badge to carry into battle the black shield of illegitimacy, the bend sinister, a black sheep superimposed above a circle of twelve stars, and crowned with the image of their aircraft, the F4U-1 Corsair. What these men accomplished has become Marine Corps history. The Black Sheep squadron fought their way to everlasting fame in just eighty-four days. They met the Japanese over their own fields and territories and piled up the smashing record of 203 planes destroyed or damaged, produced eight aces with 97 confirmed air-to-air kills, sunk several troop transports and supply ships, and destroyed many installations. 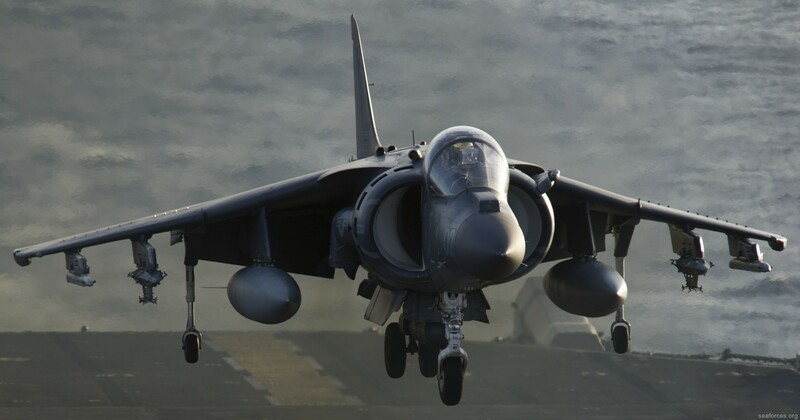 For their actions, the original Black Sheep were the first Marine fighter squadron specifically awarded the Presidential Unit Citation for extraordinary heroism in action. The Black Sheep ended their second combat tour on 8 January 1944, five days after Major Boyington was shot down and captured by the Japanese. 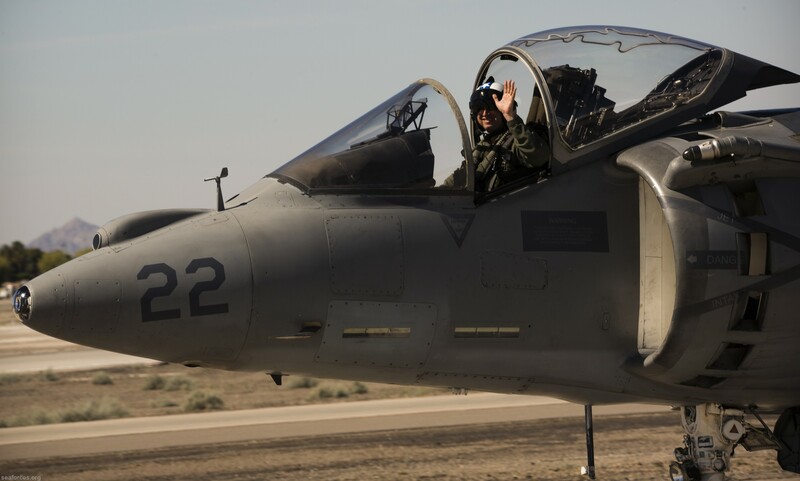 The ground echelon returned to the States and the pilots were placed in the pilot pool in Marine Aircraft Group (MAG) 11. VMF-214 was reorganized on 29 January 1944 at Marine Corps Air Station (MCAS) Goleta, near Santa Barbara, California. They deployed aboard USS Franklin (CV-13) on 4 February 1945. Their mission was to join in operations against Japan and Okinawa. On 19 March, a Japanese bomber hit USS Franklin. The explosion and resulting fire caused 772 deaths aboard Franklin including 32 Black Sheep. Many Black Sheep aircraft were launching for a strike on mainland Japan at the time. One, First Lieutenant Ken Linder, was given half credit for shooting down the Japanese bomber that struck Franklin. This ended VMF-214's involvement in World War II. In April 1945, the Black Sheep were relocated to MCAS El Centro, California, and then to MCAS El Toro, California, in October. In the next few years, the Black Sheep deployed for operations onboard USS Rendova (CVE-114), USS Baroko (CVE-115), USS Badoeng Straight (CVE-116), and USS Boxer (CV-21). Flying F4U-4B Corsairs on 3 August 1950, VMF-214 became the first Marine squadron to see action in Korea. 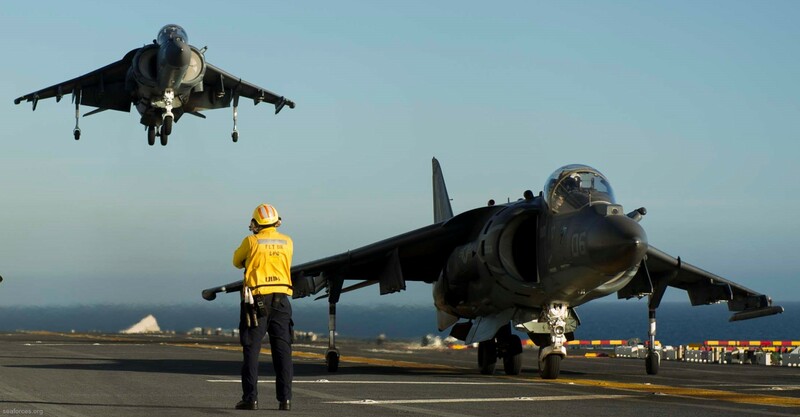 Flying from USS Sicily (CVE-118) and USS Boxer, the Black Sheep completed two combat tours in Korea. During the course of the war, they participated in key battles to include the Inchon landing and the withdrawal from the Chosin Reservoir. In all battles, they provided nearly continual air cover, interdicting supply and communication lines, and inflicting heavy damage on numerous ground emplacements and enemy armor. 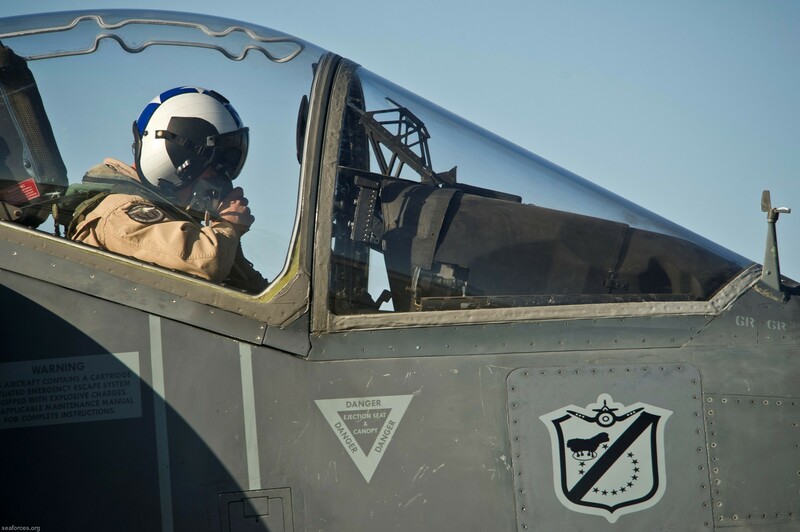 Shortly before the close of hostilities in Korea, VMF-214 returned to MCAS El Toro. 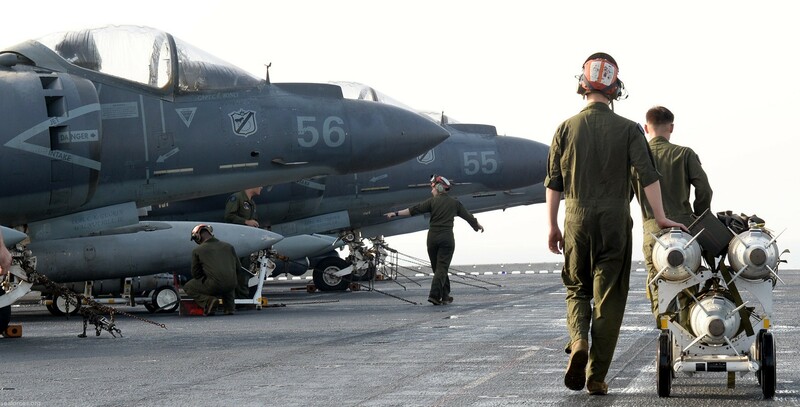 Here they exchanged their gallant Corsairs for F9F Panther jets and began another training program. In the spring of 1953, the Black Sheep packed their bags, traded their F9Fs for the new F2H-4 all-weather Banshee, and headed for the Hawaiian Islands. Upon arrival in the islands, they became part of MAG-13 and the First Marine Brigade. In January 1956, the Black Sheep again received the order to "get ready." This time, the circumstances were less demanding. 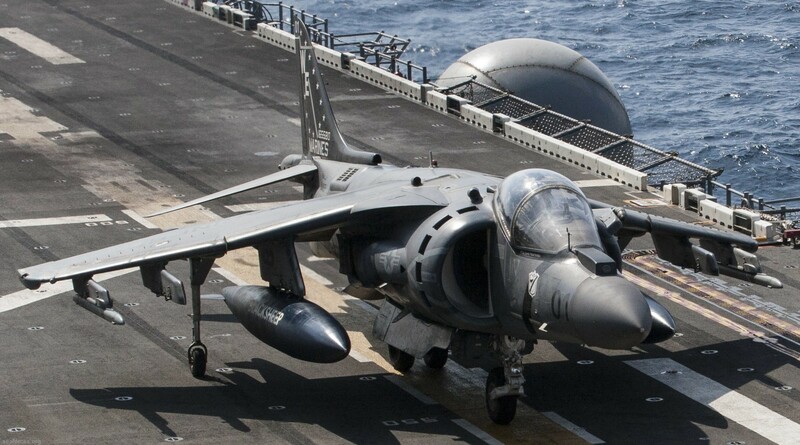 In the ensuing fifteen months, the Black Sheep covered all aspects of Marine aviation. On 31 December 1956, the squadron was redesignated Marine All Weather Fighter Squadron (VMF(AW)) 214 flying the Banshee. 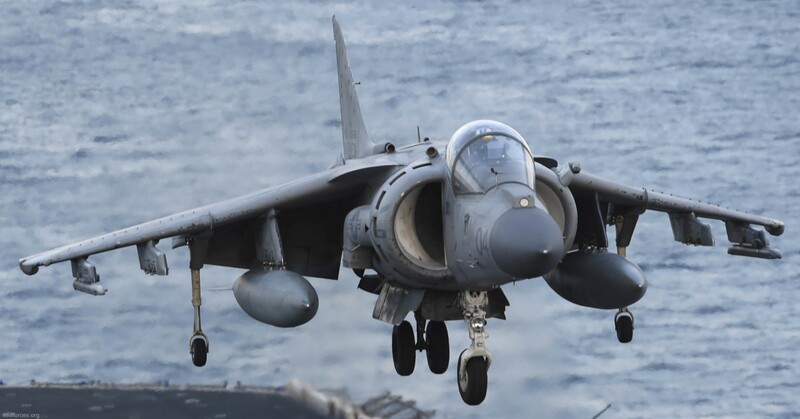 The buildup included: instrument flying, bombing, rocketry, strafing, air-to-air gunnery, field carrier landing practice, high and low altitude special weapon drops, and carrier qualifications. 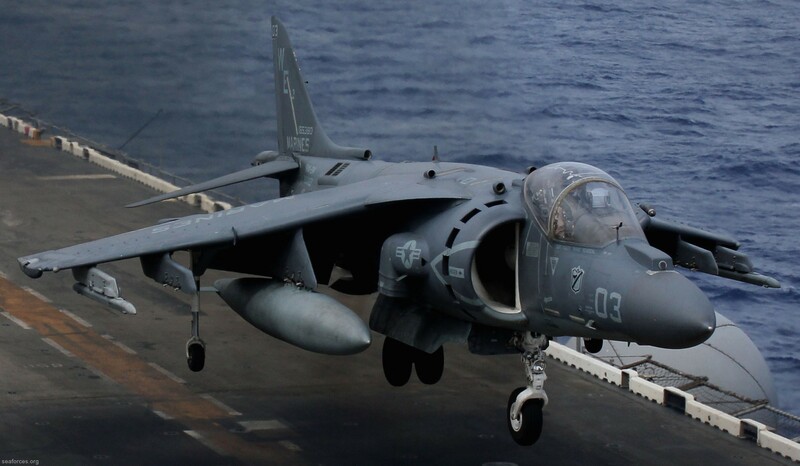 VMF(AW)-214 became the first Marine squadron to be qualified in special weapons delivery in February of 1957. The period between Korea and Vietnam saw several significant changes for the Black Sheep. 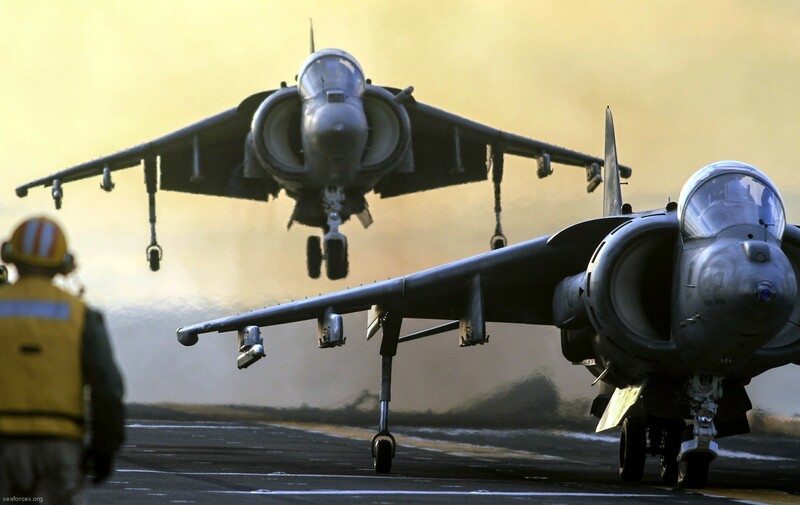 VMF was changed to Marine Attack Squadron (VMA) on 9 July 1957, designating the Squadron as "attack" vice "fighter". 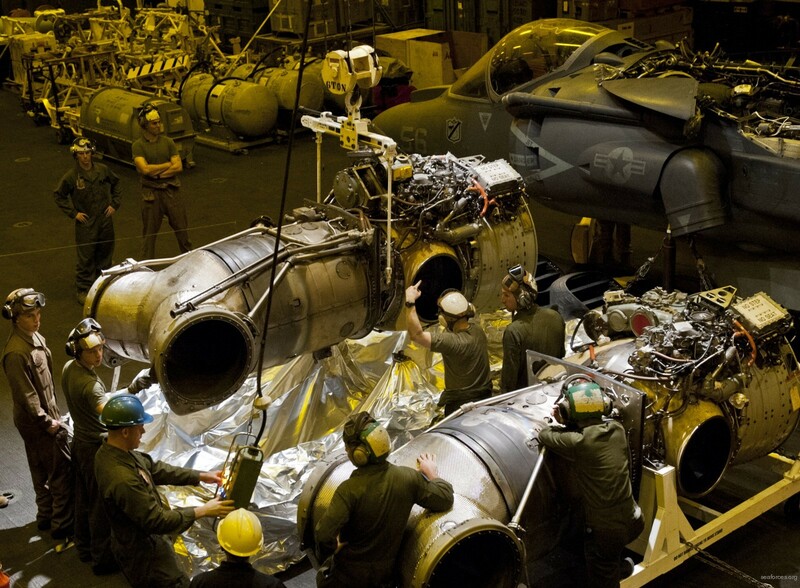 In March 1958, the Black Sheep transitioned to the FJ-4 Fury. 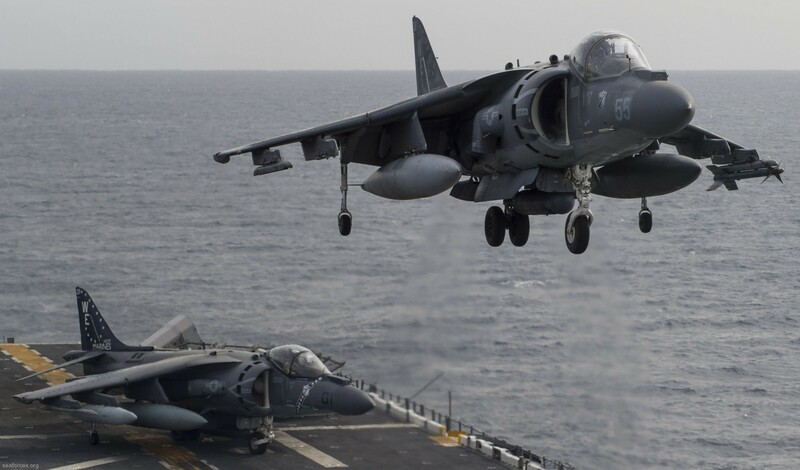 Shortly after the transition was completed, VMA-214 and VMF-212 became the first squadrons to deploy by a Trans-Pacific flight. In the FJ-4B Fury, the squadron logged over 27,000 hours as an attack squadron. This included a stretch with over 20,000 accident-free flight hours. On 29 August 1961, the Black Sheep were awarded the Commandant of the Marine Corps safety award for the "most outstanding safety record" achieved among attack squadrons throughout the Marine Corps. On 23 January 1962, the Black Sheep transitioned from the FJ-4B Fury to the A4B Skyhawk. This began a 27 year association between the Black Sheep and follow-on versions of the Skyhawk. In May of 1965, the Black Sheep were reassigned to MAG-12, 1st Marine Aircraft Wing (MAW), Fleet Marine Force (FMF), Pacific, and relocated to MCAS Iwakuni, Japan. On 21 June 1965, the first Black Sheep division flew into Chu Lai, Republic of Vietnam, and landed on 4,000 feet of Short Airfield for Tactical Support runway. The Black Sheep rotated out of Vietnam in February 1966 to pick up new pilots and personnel. In April 1966, the Squadron deployed back to Chu Lai, where combat missions were again flown in support of the Republic of Vietnam. 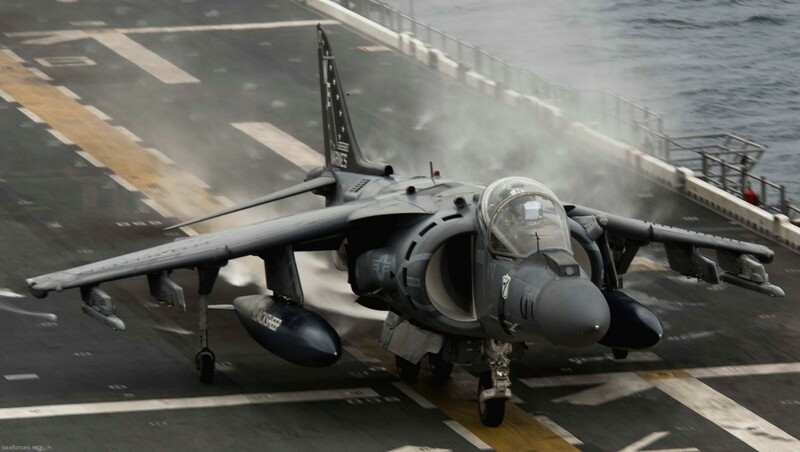 The Black Sheep flew 14,000 hours during 13,000 combat sorties and dropped more than 10,000 tons of ordnance. 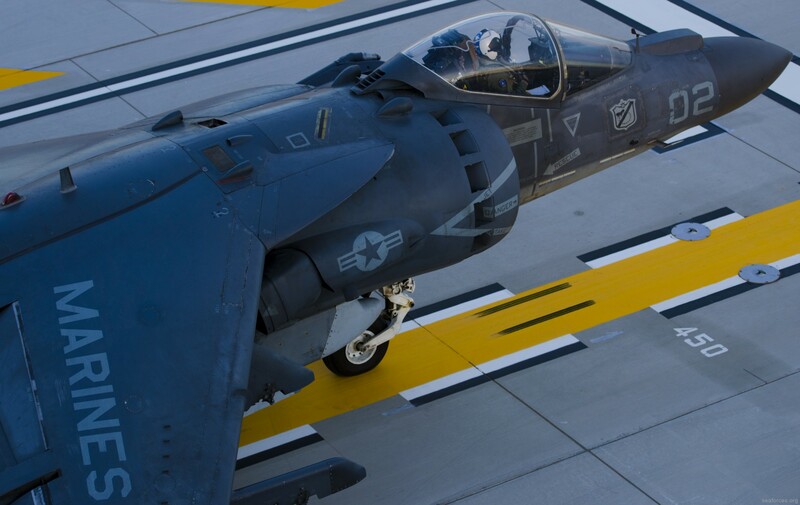 For their service, VMA-214 was awarded the Navy Unit Commendation with Bronze Star. 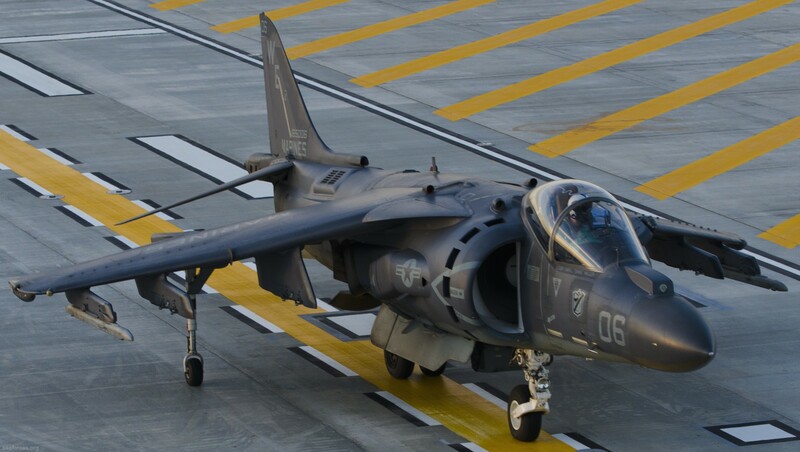 VMA-214 returned from Vietnam in April 1967, relocated to MCAS El Toro, and was reassigned to MAG-33, 3d MAW, FMF, Pacific. Once in El Toro, the unit became recognized as an operational training squadron for attack pilots, many of whom were replacement pilots bound for Vietnam. During December of 1970, the Black Sheep were reassigned to MAG-13. During the late 1970's, and into the 1980's, the squadron participated in the Unit Deployment Program (UDP), rotating between MAG-12 and MAG-13. In October 1982, the Black Sheep were awarded the Lawson H.M. Sanderson Award for Attack Squadron of the Year. In September 1987, the Black Sheep squadron once again relocated, this time to MCAS Yuma, Arizona. On 17 October 1987, the Black Sheep again made history by becoming the first squadron to win the prestigious Sanderson award for a second time. Two significant events occurred in 1989. During the year, the Black Sheep completed 30,000 accident free hours and six years of accident-free flying. 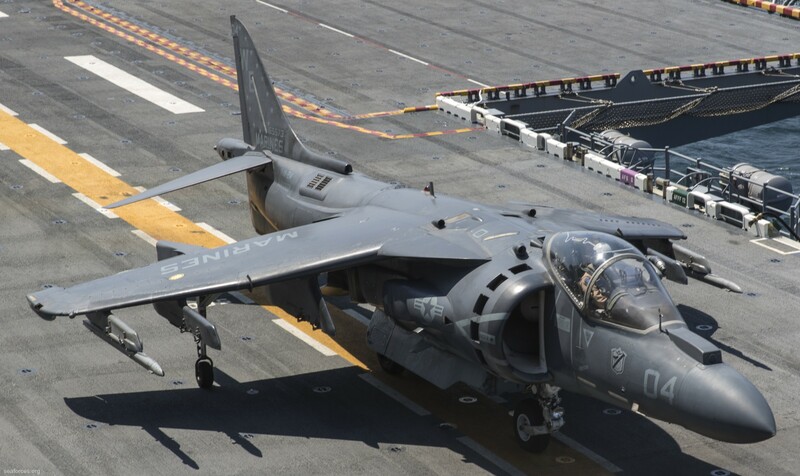 Also, in June, the Black Sheep introduced single-seat fixed wing "Night Attack" aircraft to the Marine Corps with the first operational squadron of AV-8B Night Attack Harrier II's. 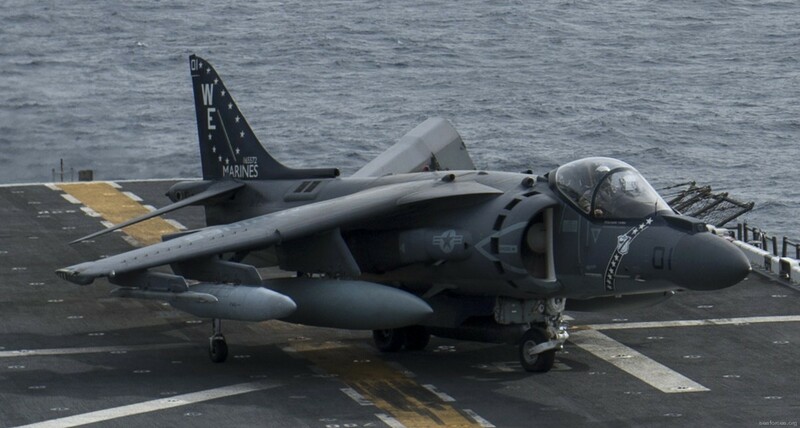 VMA-214 became the first squadron to introduce the Night Attack capability into the UDP in October of 1991 by deploying 20 Night Attack Harriers to MCAS Iwakuni for seven months. Continuing their tradition as pioneers, in July of 1993 the Black Sheep conducted a dedicated Night Systems deployment to 29 Palms, California. This deployment was designed to chase the moon and fly around the lunar schedule. 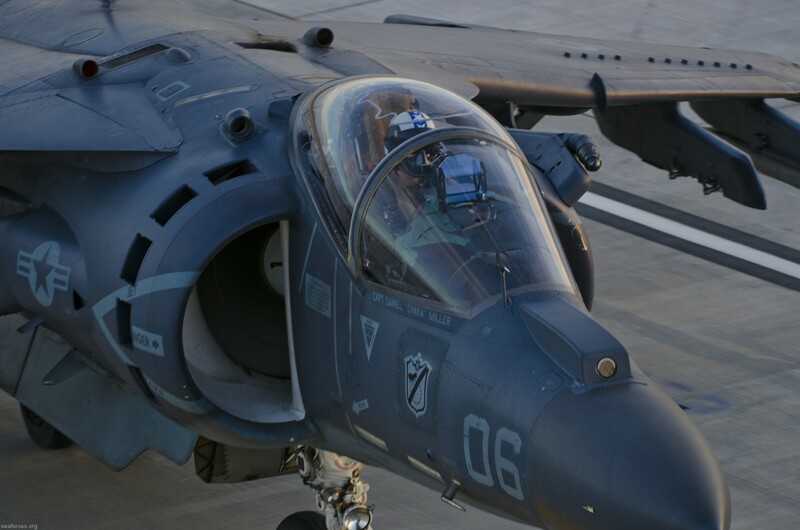 Ultimately, sorties were conducted throughout the night until shortly before dawn over a period of three weeks. 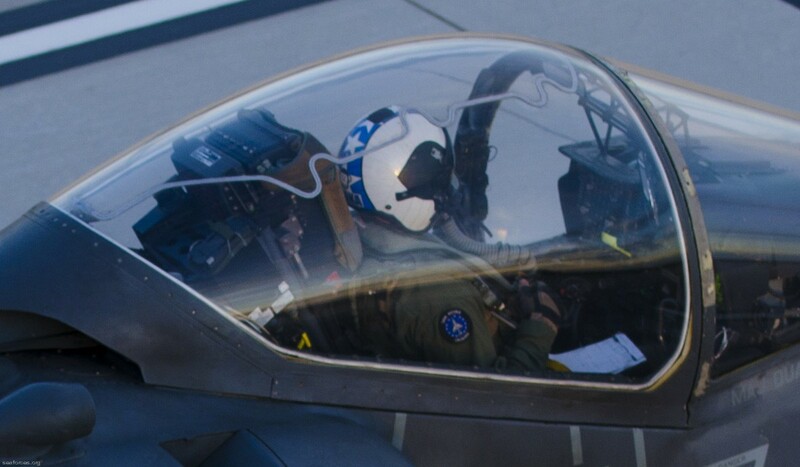 It resulted in the gathering of original medical data on night flying and its effect on pilot performance. 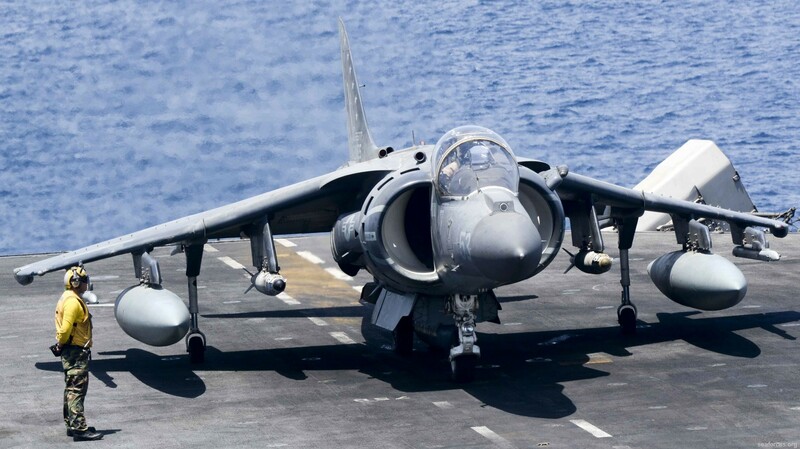 From December 1993 to July 1994, Marines of VMA-214 deployed aboard USS Peleliu (LHA-5) and participated in contingency OPERATION RESTORE HOPE and OPERATION QUICK DRAW off the coast of Somalia. 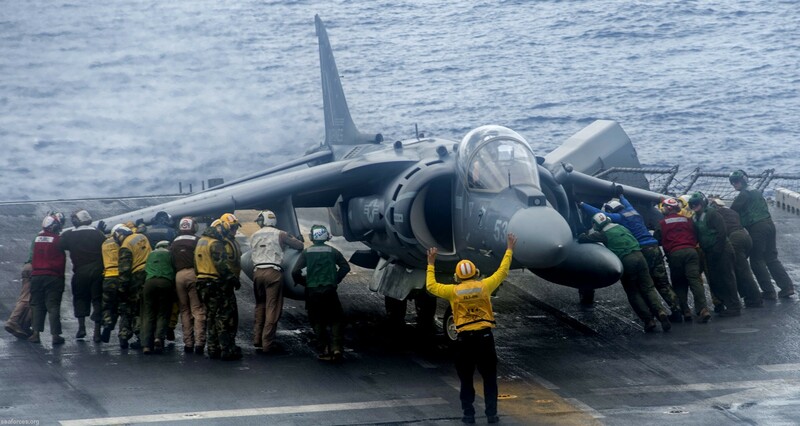 Also during this deployment, VMA-214 Detachment B participated in OPERATION DISTANT RUNNER in Burundi and Rwanda. 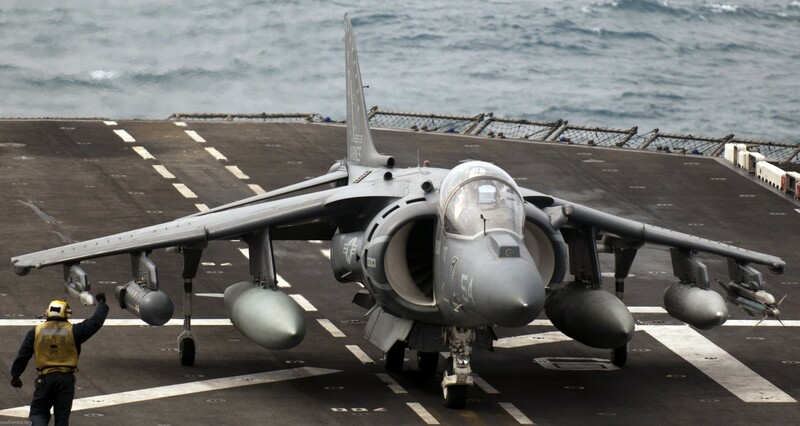 In October 1994 a detachment from VMA-214 embarked aboard USS Essex (LHD-2) to support the 13th Marine Expeditionary Unit (MEU). While deployed, the detachment supported OPERATION SOUTHERN WATCH in Southwest Asia and OPERATION UNITED SHIELD off the coast of Somalia. 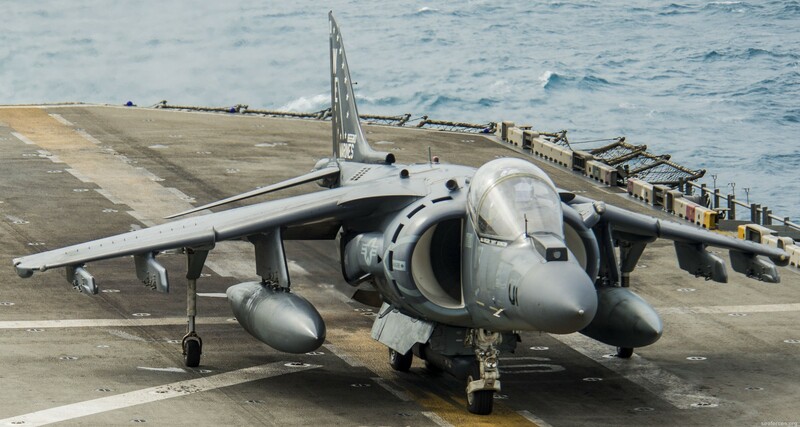 During April of 1996, the Black Sheep again deployed a detachment in support of the 13th MEU, this time aboard USS Tarawa (LHA-1). The detachment supported OPERATION SOUTHERN WATCH off the coast of Kuwait and OPERATION DESERT STRIKE in Northern Iraq. 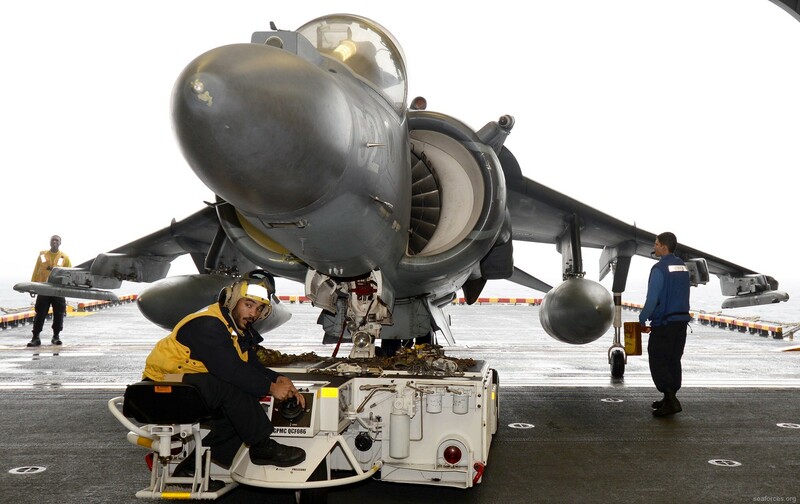 In 1997, VMA-214 continued to support CONUS deployments while embarking another boat detachment aboard USS Peleliu. 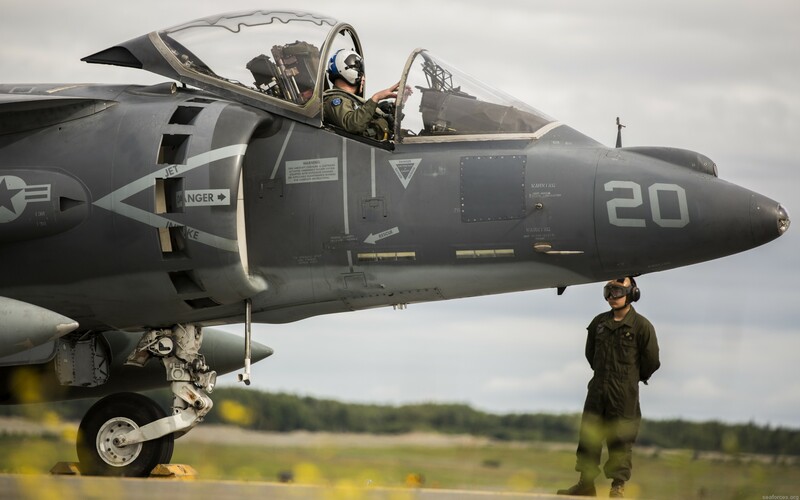 During this time, VMA-214 provided fleet testing of the Automatic Targeting Hand Off System (ATHS), a step toward revolutionizing the way the Marine Corps conducts Close Air Support. In August 1997, the Black Sheep were recognized for the third time with the Lawson H.M. Sanderson Award for Attack Squadron of the Year. 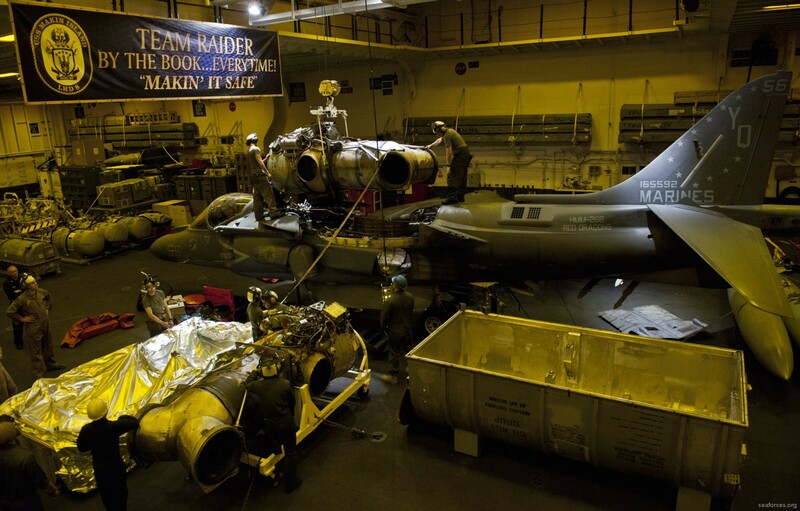 In 1998 and 1999, the Black Sheep prepared for and deployed aboard USS Boxer (LHD-4) and headed directly to the North Arabian Gulf to take part in OPERATION DESERT FOX. 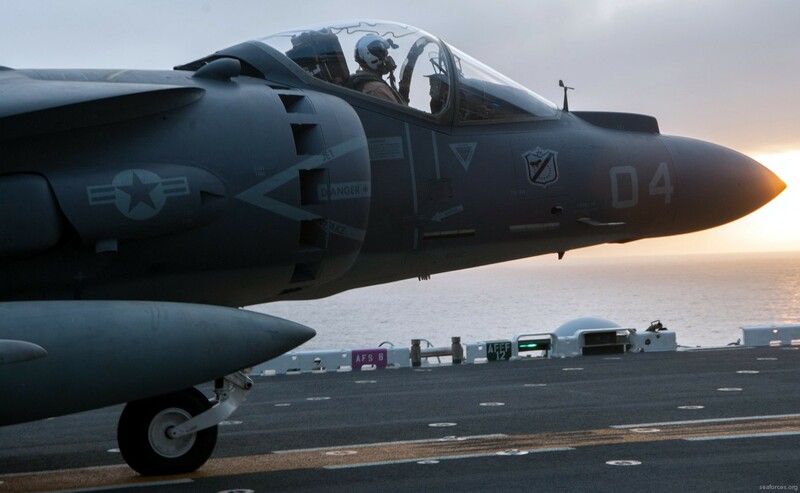 It was on this deployment that the Harrier community enjoyed its first operational use of Night Vision Devices for shipboard activities, to include working with helicopters on a shared deck. Meanwhile, the Squadron (-) was busy standing up and training the first West Coast Radar Squadron. As usual, the Black Sheep were leading the charge. The turn of the century presented some of the most challenging yet rewarding years in recent history. 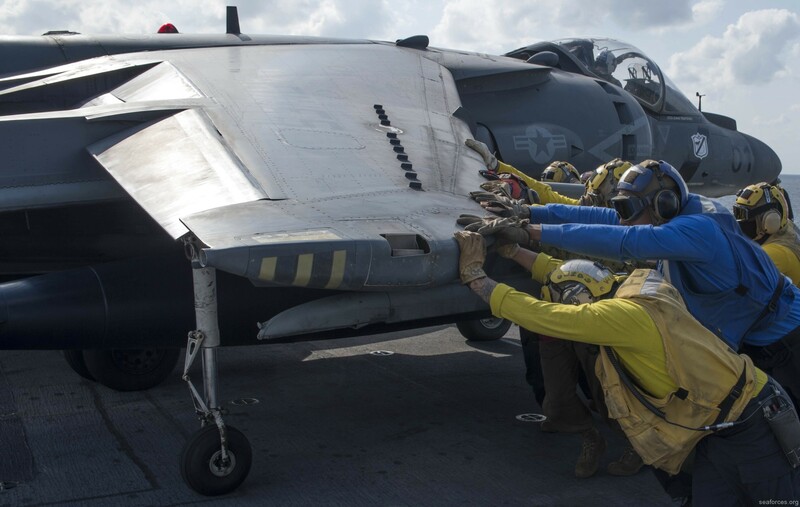 Immediately following an extended fleet wide grounding of all Harrier activities, the Black Sheep split the Squadron and deployed simultaneously in support of two separate MEU(SOC)s. The Squadron (-) deployed to Iwakuni while Detachment B sailed in support of the 13th MEU(SOC) aboard USS Tarawa. 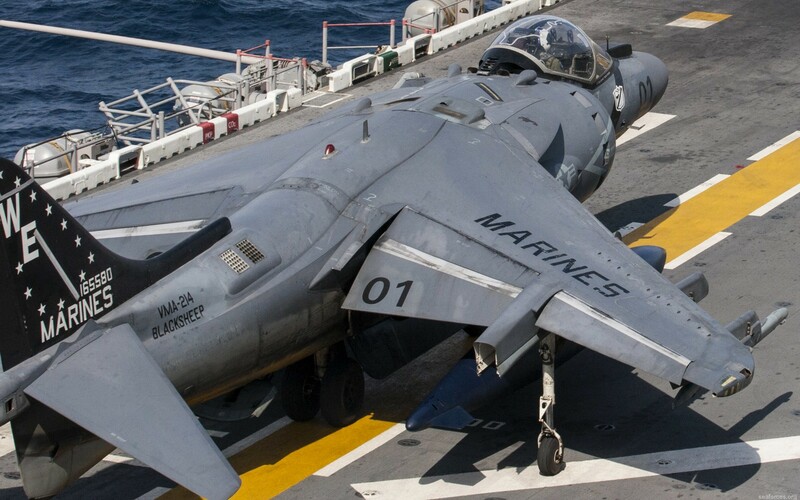 During this deployed period, the Marines of VMA-214 participated in HUMANITARIAN OPERATIONS - EAST TIMOR, INDONESIA. 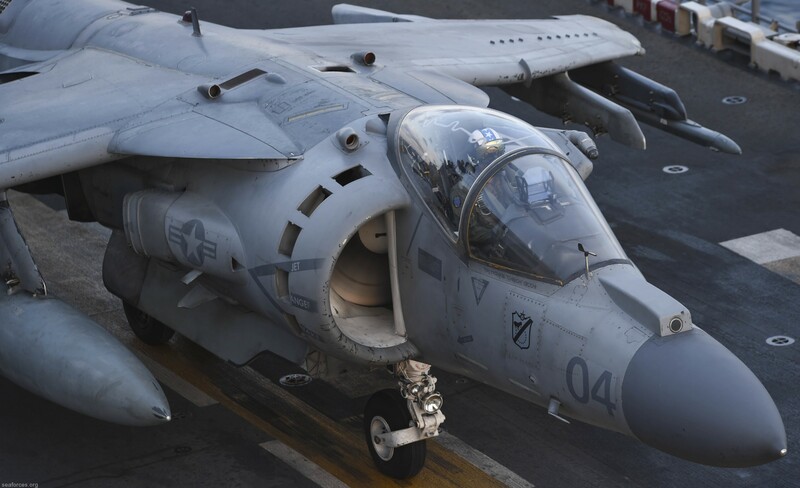 One month later, Det B was off the coast of Yemen with the 13th MEU(SOC) participating in OPERATION DETERMINED RESPONSE - recovery of the USS Cole. In February 2003, the Black Sheep again answered the Nation's call to arms. 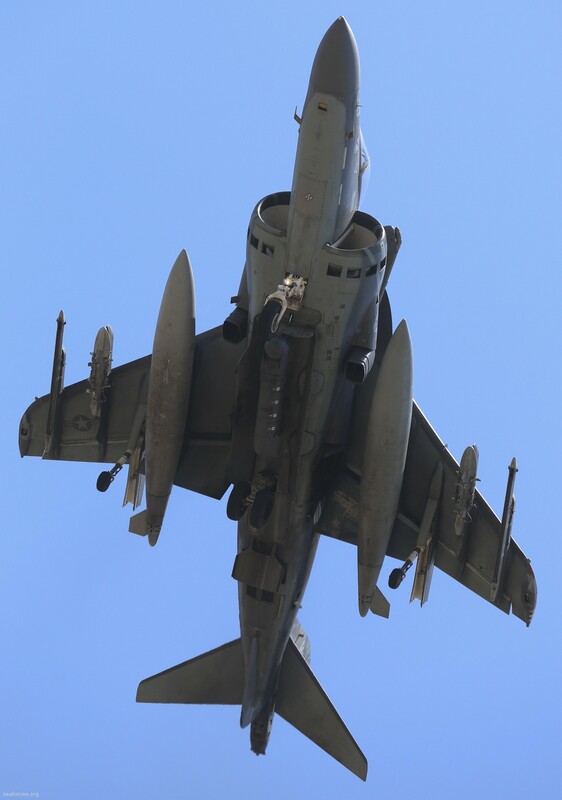 In response to increased tension in the Middle East, the squadron deployed 16 airplanes and over 250 personnel to Ahmed Al Jaber Air Base, Kuwait. 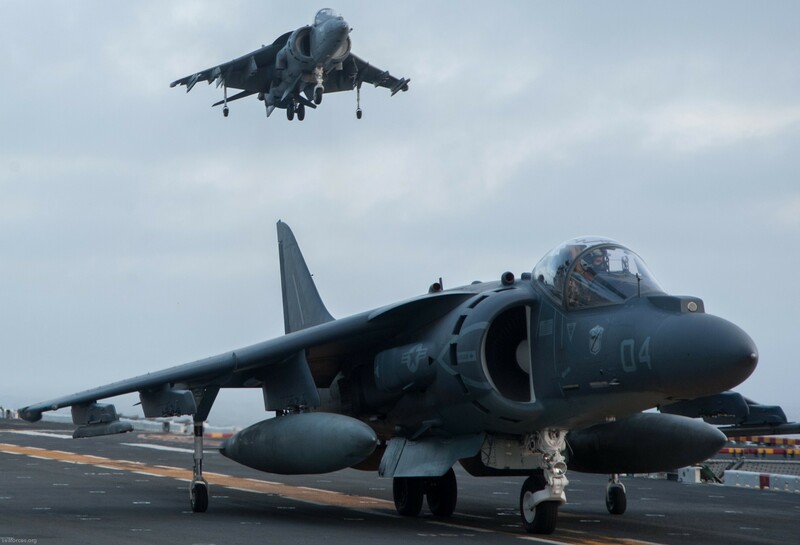 As the only land based Harrier squadron, the Black Sheep were overhead as the Marines of I Marine Expeditionary Force pushed north into Iraq. 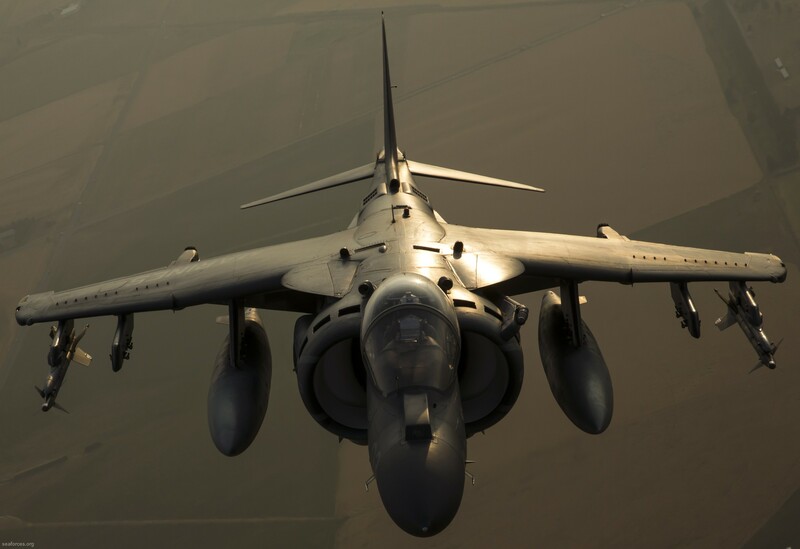 From the initial strikes of 19 March, the storming of Baghdad, and through the rebuilding of Iraq during the summer of 2003, VMA-214 Harriers were above providing Close Air Support, conducting Aerial Interdiction and executing Armed Reconnaissance. 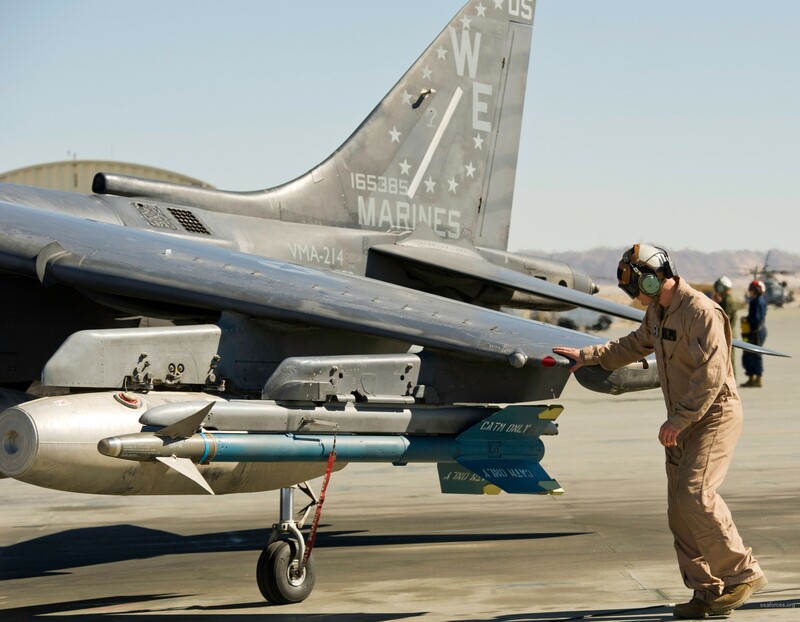 The Black Sheep flew over 1,900 combat sorties and dropped 236,000 pounds of ordnance in support of OPERATIONS SOUTHERN WATCH and IRAQI FREEDOM. 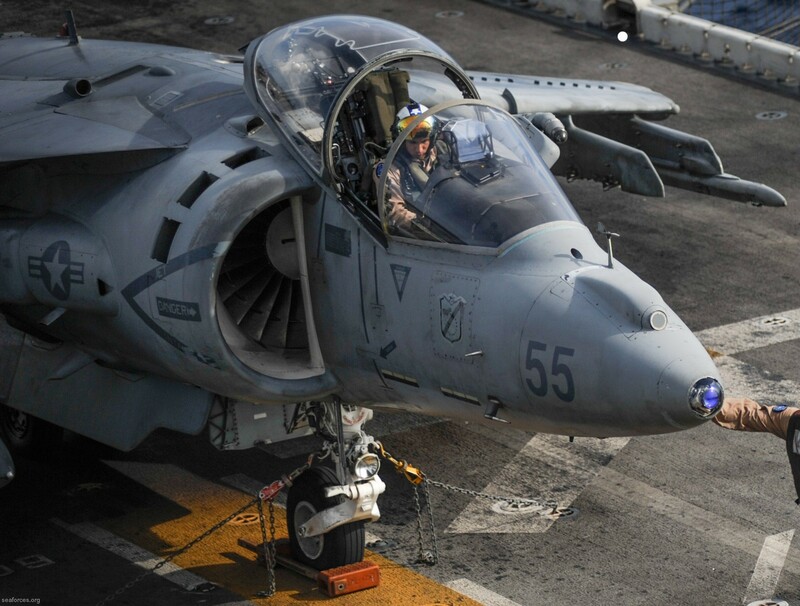 Simultaneously, the squadron's Detachment deployed for a full year in support of the 31st MEU. In May 2004, the Black Sheep deployed again to the Middle East in support of OPERATION IRAQI FREEDOM II. 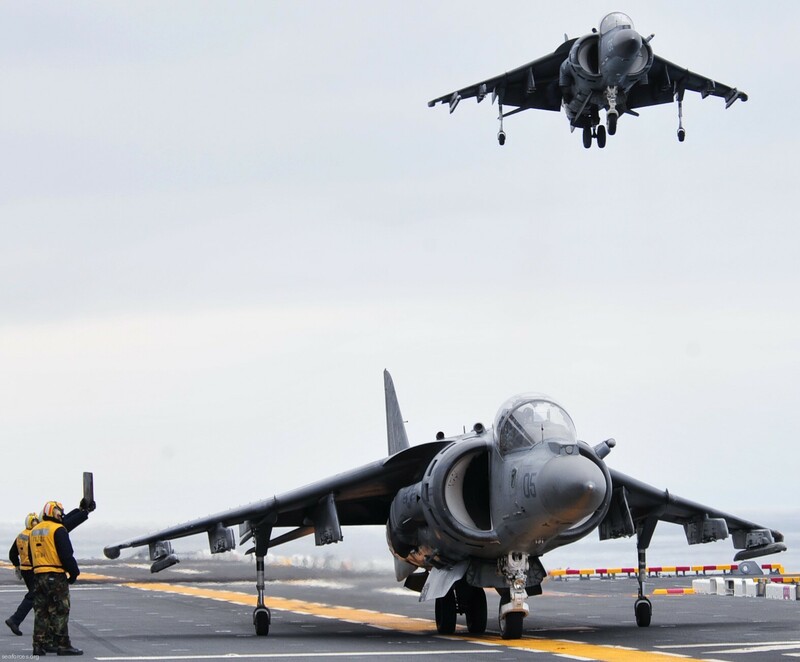 With a week's notice, the Squadron deployed ten Harriers to Al Asad Air Base, Iraq. 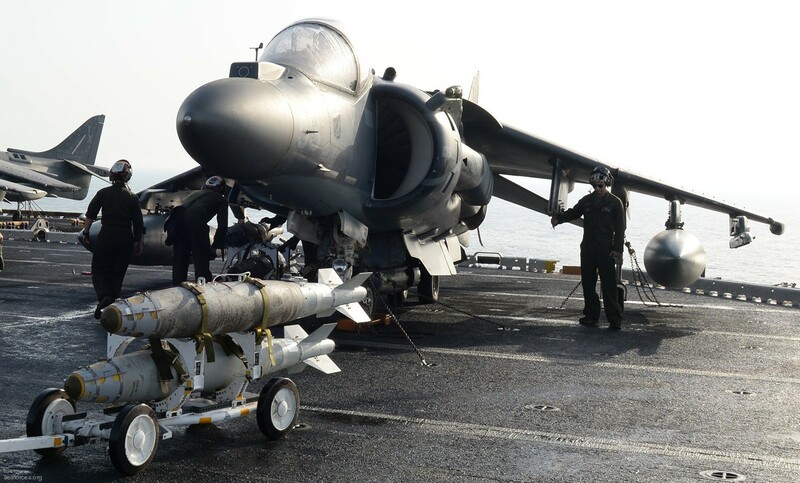 With the aid of the LITENING II targeting pod, the Black Sheep provided tactical air reconnaissance and Close Air Support for multiple Marine and Allied units. 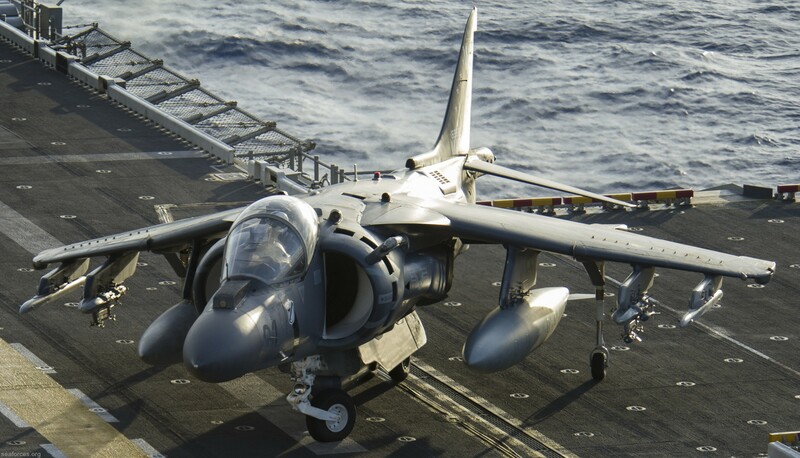 VMA-214 simultaneously deployed six Harriers aboard USS Belleau Wood (LHA-3) in support of the 11th MEU. 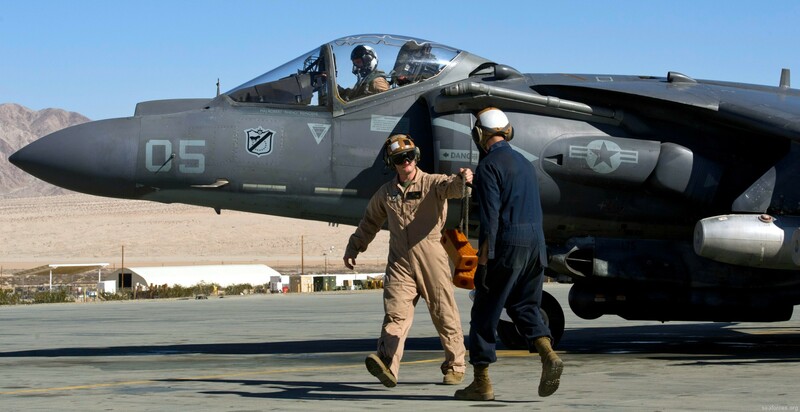 Over a span of nine months, the Black Sheep deployments combined for a total of 1,978 combat sorties in support of operations in An Najaf, Al Fallujah, Baghdad, Ramadi and other small conflicts throughout the Al Anbar province of Western Iraq. 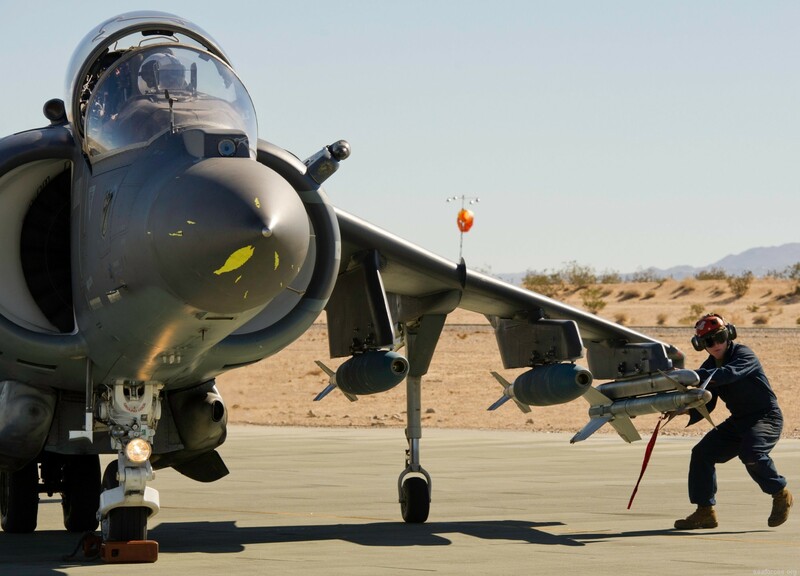 In late 2005 the Black Sheep were tasked with deploying two six-plane detachments while the Squadron (-) remained in Yuma and continued to train the remaining pilots for combat. 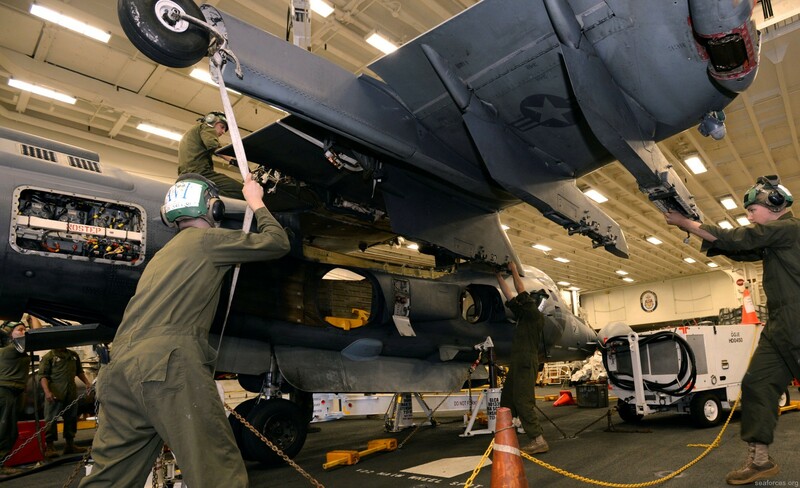 Detachment B deployed to support the 31st MEU in Japan in December. 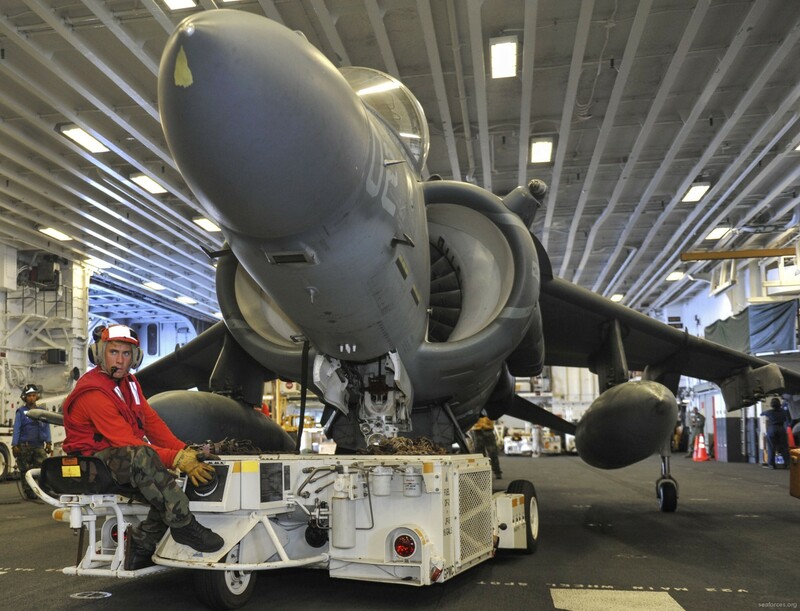 Detachment A deployed aboard USS Peleliu with the 11th MEU to the North Arabian Gulf in support of OPERATION IRAQI FREEDOM 4-6 less than two months later. 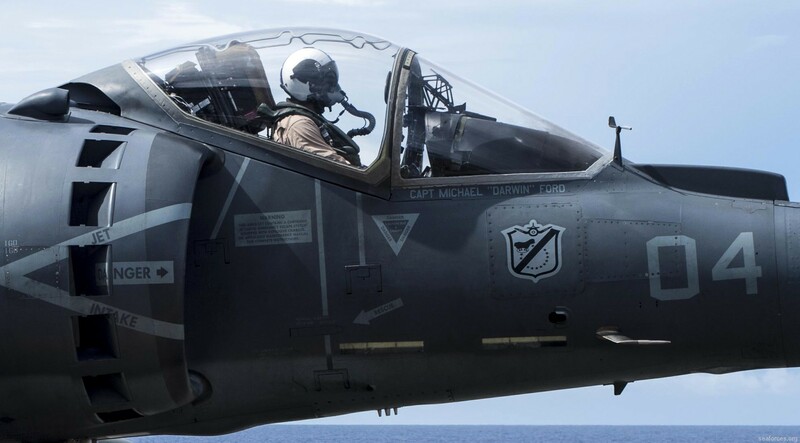 Encompassing the globe, the Marines of VMA-214 had the unique ability to say the sun never set on the Black Sheep. 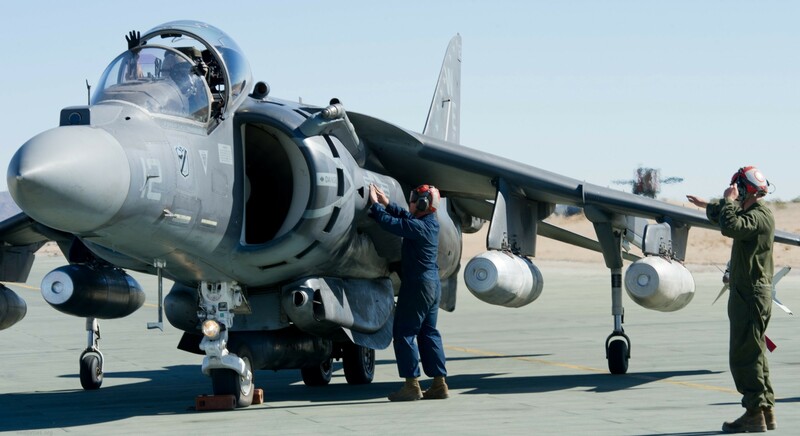 By August of 2006, the two Detachments had returned to the Squadron (-) at MCAS Yuma after eight months of being tri-sited. The Black Sheep immediately began preparing for a deployment five months later. 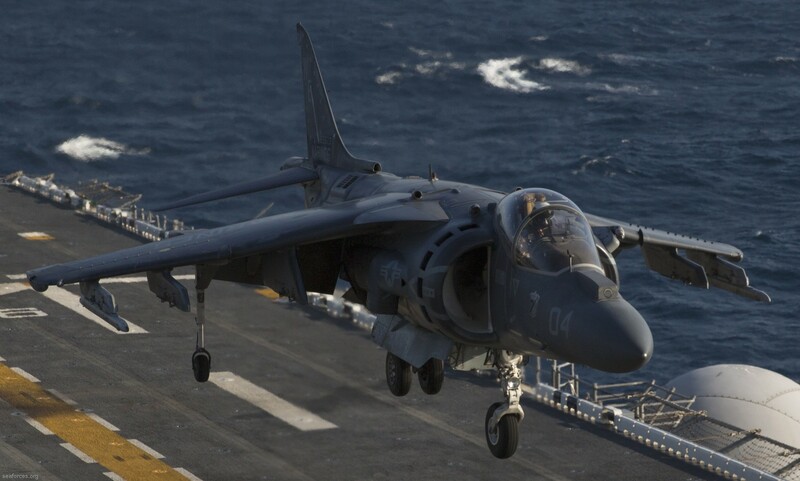 At the beginning of January 2007, VMA-214 (-) returned to its birthplace once again, the Western Pacific, to support the 31st MEU in Japan. 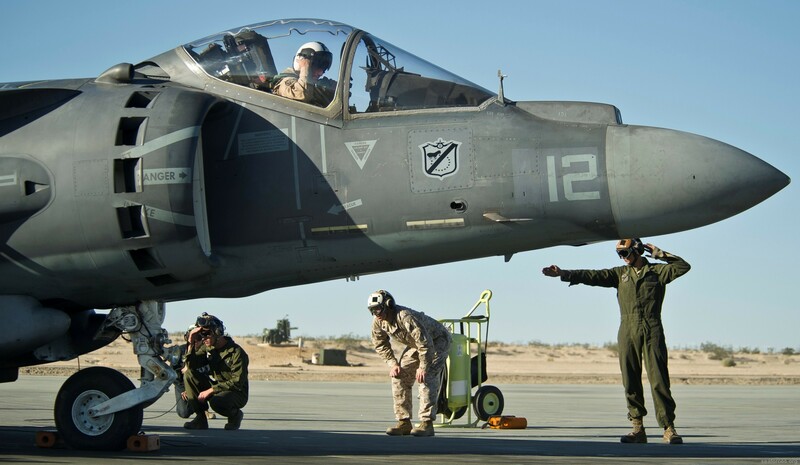 Three months into the six months deployment, the Squadron learned that the MEU had been extended to a year in order to facilitate the training of units preparing to deploy to Iraq. 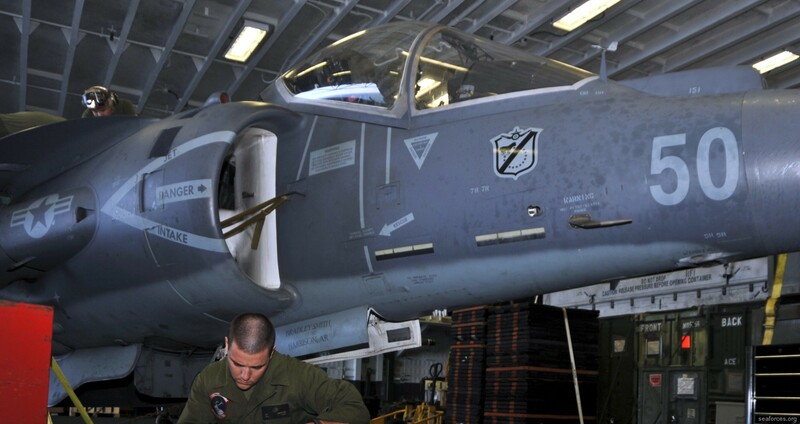 Shortly before Christmas 2007, the Black Sheep were back home at MCAS Yuma. 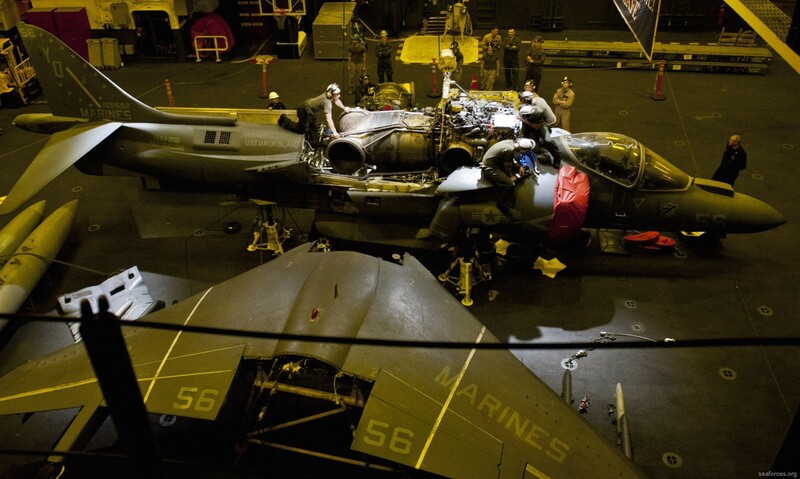 In January 2009, the Black Sheep deployed Detachment "A" aboard the USS Boxer with the 13th MEU. The MEU deployed to the Gulf of Aden, where the Black Sheep conducted anti-piracy operations off the coast of Somali prior to returning to Yuma in August 2009. 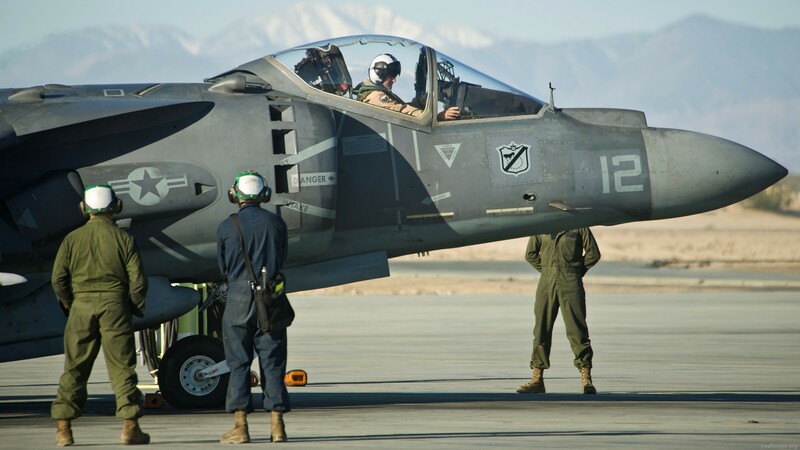 In May of 2009, the Black Sheep squadron (-) was reassigned to MAG-40, 2nd MEB and relocated to Kandahar, Afghanistan. 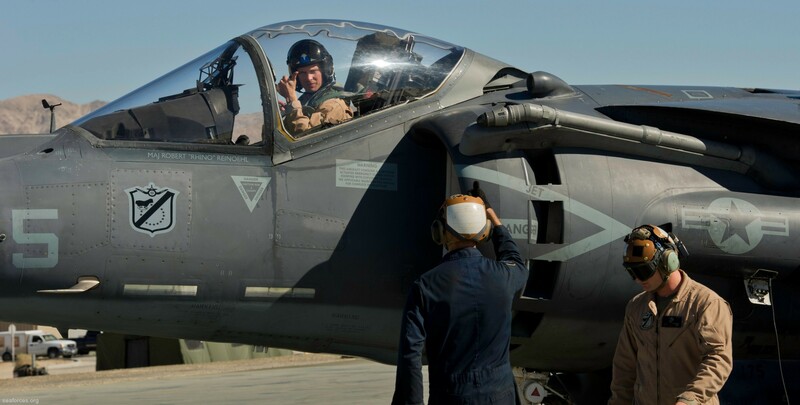 The Black Sheep flew 3200 hours during 1375 combat sorties in support of Operation ENDURING FREEDOM II. On 2 July 2009, the Black Sheep provided Close Air Support and Initial Terminal Guidance to the largest heliborne insert since Vietnam. 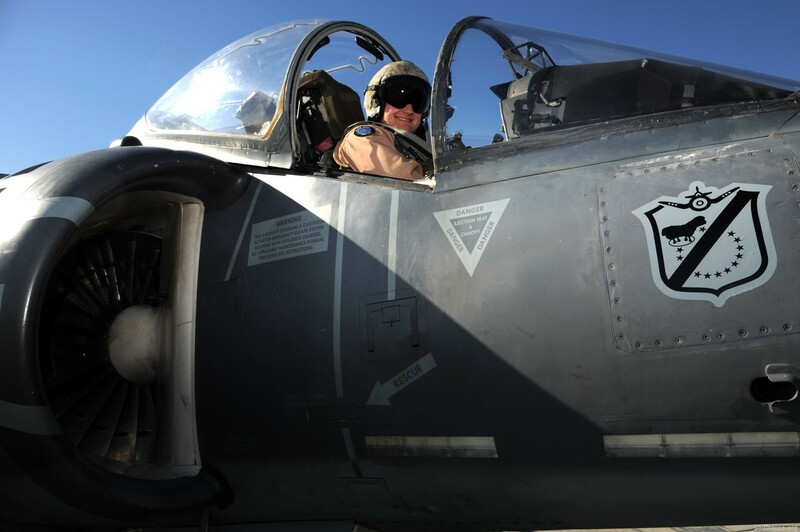 VMA-214 returned from Afghanistan right before Thanksgiving in November of 2009 and was reassigned back to MAG-13, 3d MAW. 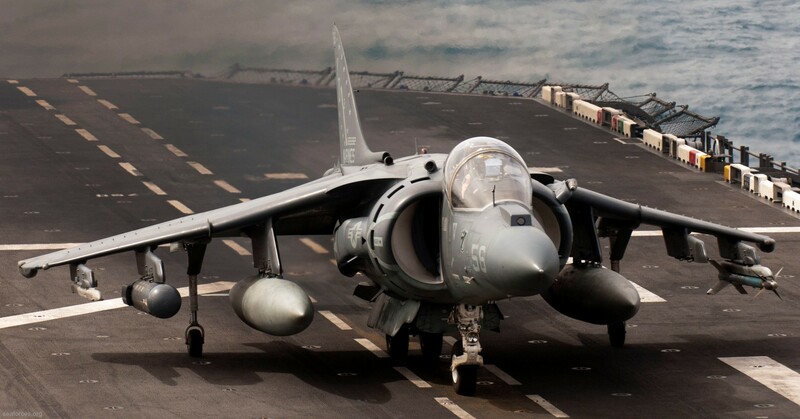 On 22 May 2010, VMA-214 was awarded Attack Squadron of the Year during the Marine Corps Aviation Awards in Dallas, TX. 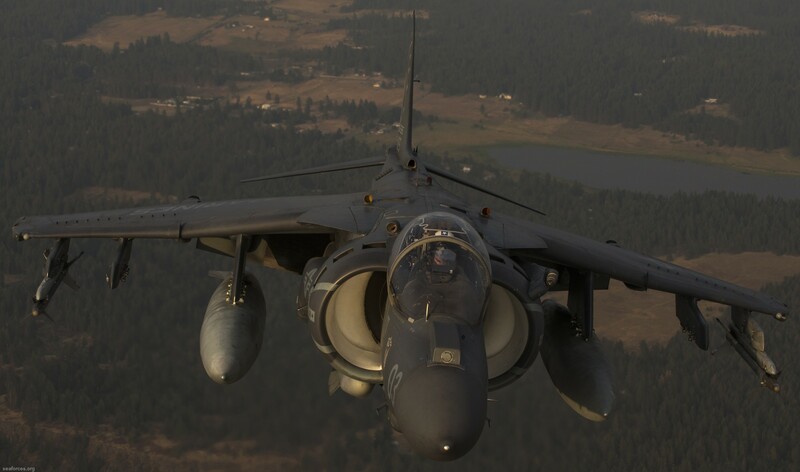 During June 2010, VMA-214 deployed for training in support of Red Flag Alaska 10-03. 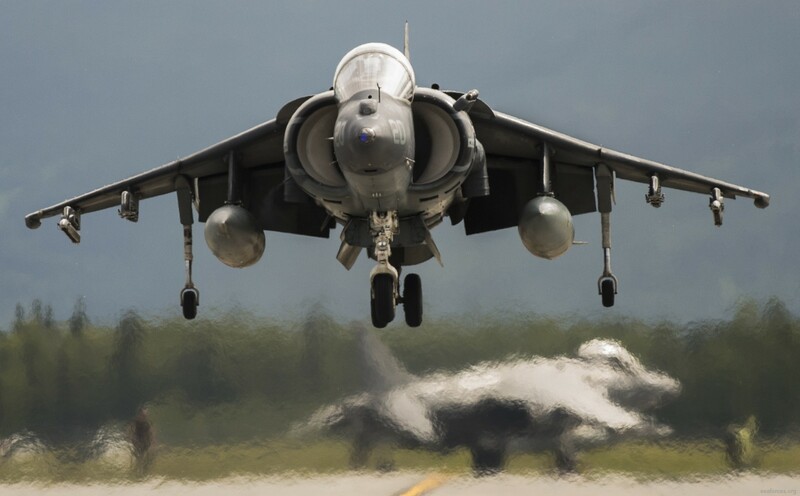 This was the largest Red Flag Alaska event ever conducted, combining forces from 8 different nations and over 120 aircraft and 2500 support personnel.